Sweet and lightly tangy red raspberries. 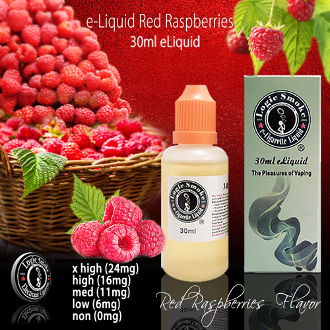 Our Red Raspberry electronic cigarette e-liquid is a very light vape that is flavorful and refreshing. Is a delicate vape all on its own but also is a fabulous enhancer to other e-liquid flavors such as Blackberry, Cheesecake, waffle or any of our other Chocolate flavors. Try it today and start enjoying.